Widely translated first edition of the best-selling tutorial for Microsoft Access, relational database software for Windows. A guide to writing haiku as a spiritual practice. Haiku - The Sacred Art introduces haiku as a simple and effective way of tapping into the sacred moments that permeate everyday living. 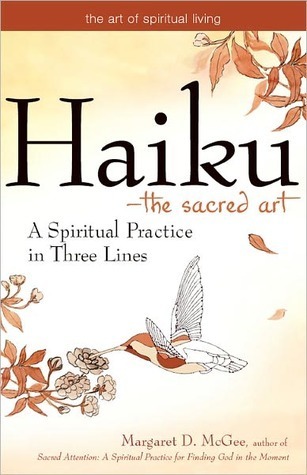 Lifely examples and simple guided exercises--such as haiku as prayer, haiku inspired by sacred texts, and haiku that reflect religious seasons or holidays--offer a unique spiritual practice for a variety of spiritual seekers. An Annotated Bibliography of Texts on Writing Skills (Garland Press, 1976) Co-authored with Shannon Burns, Mark Govoni, Lois Burns. A research tool for teachers of writing. In Sacred Attention, you will discover ways to develop a practice of attention as a means of talking—and listening—to God. Framed on the Christian liturgical year and paired with images of the seasons of the earth, each chapter includes an insightful narrative which illustrates the surprising richness to be found in every moment. Following each narrative is a prayer, suggested scripture readings and a specific exercise you can use to develop your own practice of attention as a means to better connect with all of life. Stumbling Toward God traces a woman’s spiritual search with an unusual twist – from an “atheist who prays” to unorthodox membership in two radically different churches: Unitarian and Episcopal. 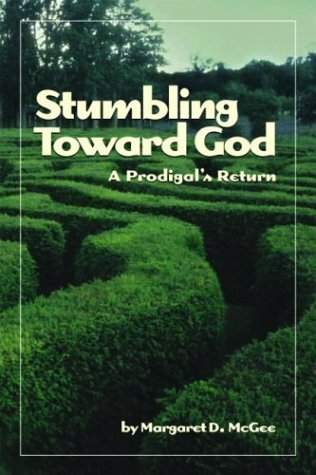 An honest, satisfying read for anyone questioning or seeking a spiritual path. First Place for Nonfiction Book in the PNWA Literary Competition. Published by Inner Ocean Press. "Doing Jesus," A Review of Jesus Freak by Sara Miles, The Englewood Review of Books, (May 2010, Vol. 3, #19). "The strengths and charms of real 'church ladies'" (With apologies to Dana Carvey), Episcopal Life (May 2007). "When Fear Sets In," The Living Church, (11 Mar, '07). "Hearty Fish Soup," Humility issue of Alive Now, (Mar-Apr '07), published by The Upper Room. "Real Hands, Real Water," Technology issue of Alive Now, (Jan-Feb '07), published by The Upper Room. "My Father Was Zorro," Mercer Island Reporter, (14 June '06), reprinted in Northwind Anthology 2007. "The Only Gift," The Living Church, (8 Jan. '06). "From PT to Manhattan: ‘Class of…’ performed in NYC,” Port Townsend/Jefferson County Leader (7 Nov 2001). "Church Bell Rings with Holy Spirit,” Episcopal Voice, Seattle, WA (May 2000). "A Lively Conversation: The Poetry of Mary Lou Sanelli,” Womanplace (Winter 1998). "If Mary Was a Virgin,” The Living Church, (Advent 1997). "sudden sun" and “winter’s eve,” Wisteria: A Journal of Haiku, Senryu, and Tanka 14 (July 2009). "slow, slow dusk," The Heron's Nest, (June '09). "stove smoke, "night balancing day," “the old fence post”, “splintered door jamb” and “daybreak” from bear creek haiku (2009). "September 23, Quimper Peninsula," first place winner of Byline Magazines Autumn Poem contest (1999). "Quimper Peninsula, Washington," Orion Magazine (Winter 1998). "To a Daughter, Remembering," co-written with Jennifer James-Wilson, Portlandia Review of Books (1997). "This Land Shall Be Your Possession," Tidepools (1997). "Paper Chain," The Crosscurrents Review (1985). "Personal," The Crosscurrents Review (1984). A one-act play taking about 25 minutes, "Baptizer" brings to life a crucial moment in the relationship between John the Baptist and Herod Antipas. A drama for one female player, taking about 20 minutes, "Class of..." was performed in 2001 at the Port Townsend Playwright’s Festival and at Love Creek Productions’ Short Play Festival in New York City. “Francie’s Day,” Seattle Voice magazine, (Jan 1982).